I was sitting down with the judges after the RootsTech 2017 Innovator Showdown Finals, feeling pretty lucky to be surrounded by such experienced, knowledgeable people. Dalton Wright, a partner at Kickstart Seed Fund, said that while he was looking for business viability, he was also looking for an idea that would have an impact. Wright’s own past ventures include Alta Ventures Mexico, Mexico’s first early stage venture fund, and working with a team of researchers at the Children’s Hospital of Philadelphia to help raise money to build a clinical data research network. As an aspiring innovator, I’m still pondering this answer. What impact do I hope my entrepreneurial ideas will have? Do I want to have a successful business or change the industry? Can it be both? Being among the lights of the family history industry and hearing their messages was stimulating and instructive. 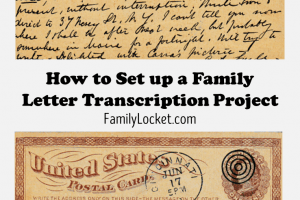 I noticed several themes among the keynotes, sessions, and interviews, and consolidated them into five ideas for aspiring family history innovators. Dalton Wright was looking for an innovation that would create an impact – maybe change the industry. Potential impact was just one of four criteria listed in the Innovation Showdown submission guidelines (also relation to family history, quality of idea, and implementation of idea). What does potential impact mean? It spans many areas – will users get excited about the idea? Is it applicable to a niche market only or could it be expanded to the mass market? Does it solve a genuine problem? Will it make a difference? Change the world? Karen answered by telling about the urgency people feel to capture the memories of the older generation before they pass away, including people in retirement homes, people with Alzheimer’s, and WWII veterans. In her presentation, she announced that Emberall has been partnering with retirement communities to capture the memories of their residents. Emberall’s impact will be in preserving stories from those whose memories are in the most danger. Bill Nelson, creator of the Old News USA app, and the 1st place winner of the showdown, also has big plans for the impact of his product. The app currently helps users search the Library of Congress’ Chronicling America newspaper collection by suggesting newspapers near your ancestors’ location and other tools. He plans to offer branded apps to additional US historic newspaper sites like NYS Historic Newspapers and Historic Oregon Newspapers. He’s also hoping the app will enter the education market. As a former history teacher, I know there’s great possibility for change in the world when students connect with the past. What I love about innovation is that it is the thing that changes the world we live in. It’s the way that we create impact. It’s those big ideas that have the opportunity to really change the world. Tetro spoke about the best practices for innovators and how they can take new technology to market and make a difference. Airbnb and Uber have taken the shared economy model and have disrupted the hotel and taxi industries. What will disrupt the family history industry? How will you create an impact? As you pivot and iterate, consider your impact. If a user arrives at a website and is prompted to fill out a form before they can use it, they’ll leave. Give users a chance to try the website, get a taste of what it can do, what value it can add, before asking for anything. When users encounter “friction,” they leave. When Tetro was at Disney Imagineering, her team worked on creating a frictionless experience for Walt Disney World customers. They created the MagicBands which allows customers to get into their hotel, get into their parks, see their photos, and so on, with just the band. Now families can experience the park without sending one group to get fast passes and another group to get on a ride. They can just focus on making memories together. Tony Knight, creator of Qroma Scan and Qroma Tag, recognized that users don’t want to add metadata to their photos because there’s too much friction. Adding metadata is difficult. They don’t even know what metadata is. His innovation allows users to use their voice and their iPhone to add industry standard metadata to their photos, so the photo and the story can be together forever. Most speech recognition engines don’t do well with proper names. Qroma Tag, however, creates phonetic sentences from spoken names and matches them with the names from the user’s uploaded gedcom file for much higher accuracy. Qroma Tag won 2nd place at the showdown this year. engage people where they are at. Teach people to use a familiar tool that adds value and doesn’t require them to learn something new. Bennett was part of a panel in the “Industry Trends and Outlook” Innovator Summit session. He said that the total addressable market for family history innovation is 83 million. Although this opportunity is huge, customer context is king for entrepreneurs in this space. There is a broader market out there, but it’s not one size fits all. Bennett said that in order to engage the mass market, remember that not everyone wants to search or build a family tree. There may be easier ways for everyday people to enter the genealogy world. I’ve noticed a huge increase in family history apps created for the mass market, for example, the apps that tell how you could be related to friends and celebrities. There’s Cuzins, We’re Related, Relative Finder, the FH Library Discovery Center “My Famous Relatives” experience, and the FamilySearch.org Family Tree “view my relationship” tool. Steve Rockwood, in the keynote on Wednesday, asked everyone to look at FamilySearch and see if they’re related to his father, Trulan Van Rockwood (KW88-46X). I took the challenge, found Trulan in the collaborative FamilySearch Family Tree, and clicked “View My Relationship.” Steve Rockwood and I are 9th cousins. (What about you? Leave a note in the comments if you’re related to him also). Rockwood has a knack for imagining cool family history tech. This year and last year at the Innovator Summit keynote he spoke the possibilities for family history innovation. This year, he imagined, waking up in the morning and asking Amazon’s Alexa, “is there anything cool about my family today?” He did that and received the response that one of his great grandfathers died that day many years ago. Alexa voice for FamilySearch made this possible, and was one of the submissions to the Innovator Showdown. In last year’s innovator summit talk, Rockwood spoke about the possibility of receiving a notification on your phone that an ancestor is buried nearby. That technology now exists with the The Family Nexus mobile app. How does your innovation engage the mass market? Can you see through your user’s eyes? Can you engage them without making them work? Tetro spent time with Tim Cook, the CEO of Apple, at a recent event. He said that their innovation strategy isn’t to be the first to create something, but for users to have the very best experience with their products. For example, Amazon has innovated a distribution channel that is so fast that it has brought millions of users. In some cities, Amazon has two hour same day delivery. What are some of the non-product innovations the family history industry has seen recently? The services at AncestorCloud and GenealogyDotCoach are changing the way consumers hire professional genealogists. The Genealogy Business Alliance is a group of entrepreneurs and seasoned business owners mentoring each other to help all genealogy businesses succeed (see press release). Robert Kehrer, Product Manager at FamilySearch, discussed process innovations that are changing the way big genealogy companies preserve records. The effort to index records is becoming “communitized” and the decision making process for what should be digitized could become more localized to the community. According to Cydni Tetro, established companies’ structured organization places limitations on their ability to innovate. They have constraints that they are required to operate in. They have to evaluate opportunities for funding innovations in terms of other existing opportunities, paying for all their employees, and other existing structure. Entrepreneurs have no constraints. They are not making any money today. They can invent whatever business model they want to go to market without putting their company at risk, because there is not company yet. Learn more about this in the book Tetro recommended, The Innovator’s Dilemma. Liz Wiseman, in the keynote speech on Wednesday, described this phenomenon as being “unencumbered,” like a backpacker. It’s much easier to wander and explore when everything you need is carried on your back. Innovative entrepreneurs, or rookies, are able to trail-blaze new paths and wander into new places because they aren’t weighed down by the knowledge that what they want to do is impossible or full of obstacles. They can dream big! It’s fine to talk about dreaming big, but how can innovators explore, wander, and really dream in practice? Wiseman’s advice to bringing out your “rookie smarts” include taking a job that you’re unqualified for, spending more time with amateurs, asking dumb questions like “How come? Who says? and Why not?” Seek advice from the experts by going into “hunter-gatherer mode,” gathering as much expertise to help you as possible. Wiseman is the President of The Wiseman Group – a leadership research and development firm, the author of Rookie Smarts and Multipliers, a mother, and thought leader. She describes her life as a stream of rookie moments, beginning when she worked at Oracle and was given a position that she was under-qualified for. Wiseman said that rookies are smart because they go into “frontiersman mode” by being scrappy and resourceful. Entrepreneurs in this pioneering mode improvise and keep it simple, because they can’t afford the luxury of spending a lot of resources. This outperforms industry leaders in innovation and speed. Take Louis Kessler for example. He created the Double Match Triangulator, a tool for DNA analysis, because he learned that he should get his oldest relatives’ DNA tested before it’s too late. He did so, and was overwhelmed with the amount of matches he had to comb through. 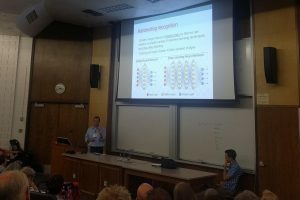 After discovering this pain point, he created a tool for DNA analysis in less than a year – as a complete beginner to the genetic genealogy space! He said he read everything he could relating to DNA triangulation over and over, gathering up as much expertise as he could. Kessler’s tool requires that users download their segment matches from FamilyTreeDNA and 23andMe (Ancestry DNA doesn’t allow you to download your segment matches). He was unencumbered by the issue that keeps Ancestry DNA executive, Kendall Hulet, up at night. In an interview at RootsTech, Hulet revealed that his main concern is protecting customers’ privacy, and this is what keeps Ancestry DNA from releasing a chromosome browser (or allowing users to download their segment matches). Ancestry DNA is the largest player in the genetic genealogy industry with 3 million in their database, yet they may be limited in innovating DNA analysis tools because of these privacy concerns. Kessler, who won 3rd place in the Innovator Showdown, didn’t have to worry about this problem. He was unencumbered – having no DNA company and no customers, he could create whatever he wanted. His idea has the potential to disrupt the DNA industry. With bloggers like Jason Lee of DNA Genealogy calling for companies like Ancestry to make chromosome browsing available, it’s possible that Kessler’s innovation could really create waves. Readers believe Ancestry is just trying to make money and keep users at their site. However, Hulet shared that Ancestry DNA is working to provide the best DNA user experience for their customers so that the everyday user doesn’t have to learn the details of segment matching and chromosome browsing. They hope to provide the same analysis that a chromosome browser would, without teaching millions of users how to do it. Do you feel unencumbered and ready to wander deep into the new territory? Gather up as much expertise as you can, ask “why not,” and do something you’re under-qualified for. In the Industry Trends and Outlook session, Nick Jones, JRNL founder, spoke about his journey pitching JRNL.com. The journaling platform debuted at RootsTech 2016, and was well received. He worked all that year to gain further investments. He pitched to venture capitalists over and over and learned some valuable things along the way. First, tell your story in a very clear, concise manner. Tell investors in 2 minutes what you’re doing and why they should invest to earn more of their time. Explain your vision and tell a personal story that connects with them. Also, founders need to be passionate. Jones said that the execution is the hard part. Be believable. Rehearse your pitch a lot so you can stay on point. The best pitches are organized, well thought out, and well put together. Potential investors may ask, “where will you be in 3 years?” That’s because they know that most startups pivot 4 times before they figure out what they’re really going to do. Be prepared to show that you are going to stick with your idea and be there when it gets hard. All startups have hard times! Jones has insight into venture capital, having worked in that space as well. “Most venture capitalists have no idea how big the family history market really is,” he said. Many weren’t aware of the opportunity to be part of the Innovator Showdown at RootsTech. Jones believes the actual temperature for venture capital in the family history industry is in its infancy as far as understanding where the money is. remember that investors want to invest in businesses that can succeed and make them money. If you’ve seen shark tank, you’ll be familiar with this refrain. The panel moderator, Craig Bott of Grow Utah, continued in this vein when he encouraged the audience to support the products they love by spending money to buy them. Doing this encourages innovation and helps the entrepreneurs who are working hard to create an impact. The founders of Kindex are hoping to see monetary support from customers soon. When I sat down with the four winners of the showdown, Cathy Gilmore of Kindex shared just how hard she and co-founder Kimball have been working on their product. They work all day, every day, without a paycheck. These entrepreneurs are passionate about what they’re doing and they have a vision. They want to create an impact. The people watching caught Cathy’s vision during her pitch and she received the most votes and was given the People’s Choice award. Not sure what a two minute pitch should look and sound like? Check out the Semi-Final round of the Innovator Showdown. You’ll notice the best pitches because many of them are the ones who were chosen as finalists. Bill Nelson and Louis Kessler both mentioned that they refined their pitch the night before the final round, hoping to really connect with the judges. The amount of wisdom imparted at the Innovator Summit is much larger than these five ideas. Ben Bennett encouraged entrepreneurs to build on top of what’s already there – don’t reinvent the wheel. Differentiate – there are lots of people who do records, trees, and searching. Do something different. He also also encouraged sharing – because sharing is caring. If innovators work with the idea of sharing in mind, then we can all innovate together. FindMyPast is hoping to find new innovations to invest in. The People’s Choice award winner from the 2016 Innovator Showdown, Twile, Joined FindMyPast as a partner soon after the contest. So, get out your backpack and go hunt and gather expertise. Observe your user and dream big! Let’s disrupt the family history industry and create an impact. What a thoughtful, well-written article! It is not easy for innovators to get all of the elements right at the same time! So often the one with the idea introduces it to the market and someone else improves on it and makes it successful. I love how many bright people there are in this industry. I feel we are all trying to make an impact but often struggle to expand to a larger audience. Very good things to think about. Thank you for mentioning The Family Nexus! We have big things planned! Can’t wait to try The Family Nexus when you get android out! Wow! Thanks for this article, Nicole. I think you’ve captured everything. And you’ve given me another idea. ? Hooray! I can’t wait to see what you do next. Thank you Nicole for writing such an insightful and interesting article! 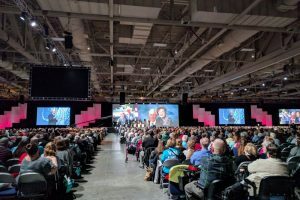 A great recap of the innovation focus at RootsTech, which is one reason why RootsTech is such a unique and amazing experience. Innovation, tech, and family history all under one (large) roof – what could be better? I agree with David – I met so many incredibly talented and smart people at RootsTech. It was a privilege to be a part of it all. Hopefully we all make that big impact!